Happy November everyone!! Can you believe that Christmas is just a little under 2 months away! Craziness, I tell you. 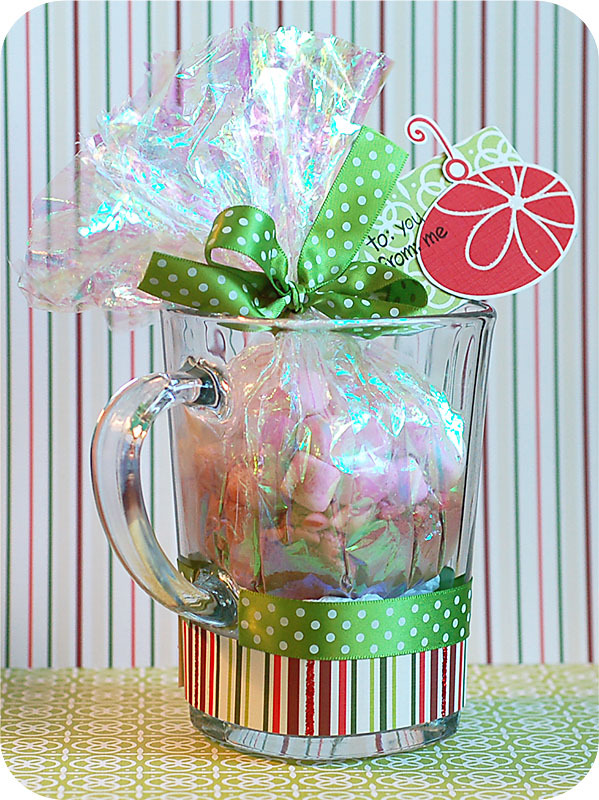 Well, today I have an inexpensive and easy gift that you can make for your neighbors, co-workers, or acquaintances. 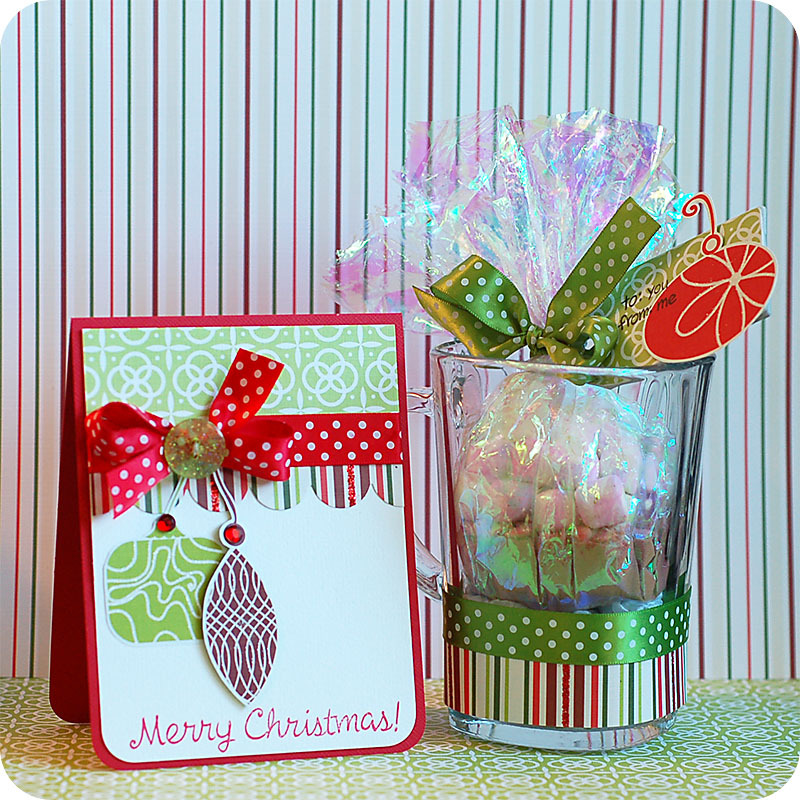 This little set goes perfectly with the fun and whimsical colors and patterns in the GCD Studios "Christmas Sleigh" paper collection...which is what I used here! Adding the ingredients into the pretty cellophane was very easy! Just cut a piece, and curve it into your cup. Add 4 tablespoons of cocoa mix, 4 mini candy canes broken up with a hammer, and a hand full of mini marshmallows. Tie it all up with some ribbon, and then cut the top off in order to even it out. I added some tissue paper into the bottom of my cup so that the cocoa mixture would sit higher in it, as it is a pretty deep cup. Then make a cute little tag and card to match, and you have a super easy gift to give out that the receiver is sure to love!! GCD Studios is also doing a giveaway on the blog! One lucky person is going to win both of the latest GCD Studios Christmas paper collections, "Christmas Sleigh" & "Joyful Peace". So, head on over to THIS POST and leave a comment. But wait before you go...I am going to give you another chance of winning a prize!! Leave a comment on my post here, and two lucky winners will receive a 6x6 paper set of "Christmas Sleigh"!! This will be perfect for some holiday card making!! I will draw a winner this Friday...so get to commenting!! P.S. 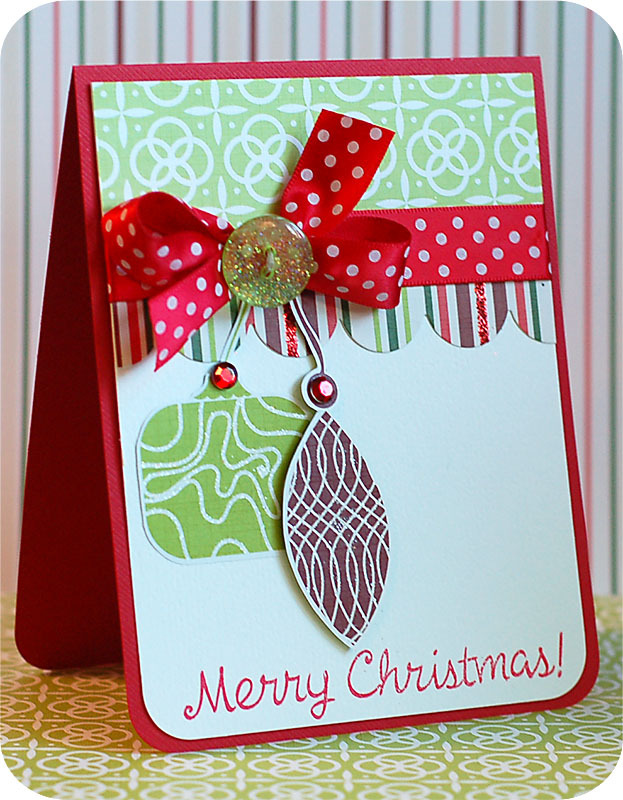 All stamps used on this project are from Lawn Fawn's "Bows and Holly" set. You did such a great job on these projects! I love how you used Lawn Fawn in your stamping, and your papers are so fun and pretty! Thanks for the inspiration! Wow, your projects are all amazing! I'm such a huge fan of your work! Thanks for the great idea for Christmas gifts for the girls in my office! They are going to love it! I already commented about your cute card on the GCD blog--Great idea re: mug! Thanks for a chance to win on your blog, too! An adorable set and great gift! Love the stamps! That's a cool idea to give out for Christmas... Very cute card and I love how bright and vibrant the colors are! such a stunning gift set! 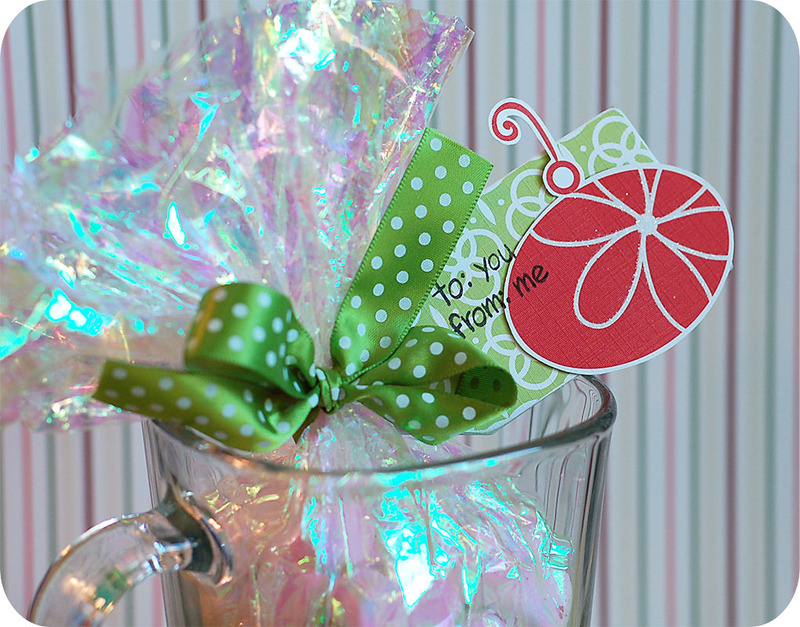 Love the shimmering wrapper and the bright red polka dot ribbon. I love how your decorated both the card and mug! This is such a great gift idea! Thank you the chance to win a great giveaway. I love when talented artists (like yourself) share projects that can be gifted to anyone, male or female, young or old. Thank you! It is wonderful. Neat projects...thanks for the chance to win! love the card and mug!